Early dental care is tremendously important to kids’ lifelong oral health. There are many steps that you and your child’s oral health care team can take to prevent dental decay in your children early on, to give them the best chance at healthy teeth later in life. Regular visits to the dentist starting at an young age not only help maintain the health of your child’s primary teeth, they also allows the dentist to monitor your child’s adult teeth as they emerge. 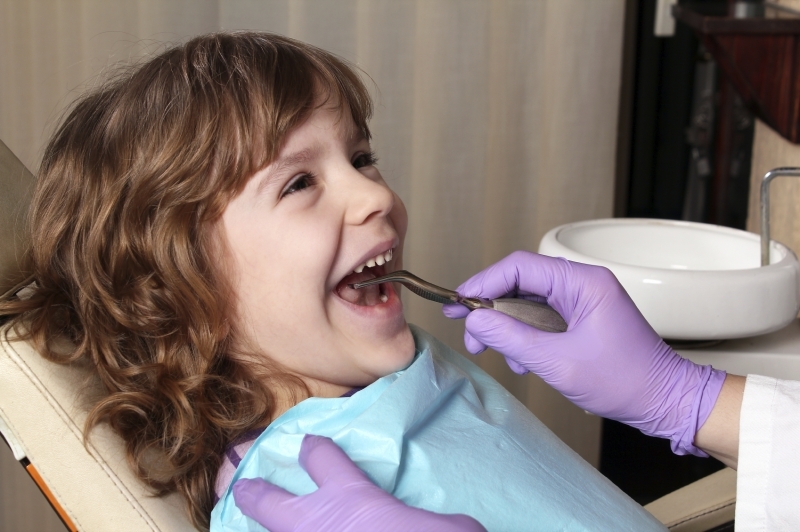 Regular cleanings by a children's dentist in Surrey help keep teeth cavity free, because the dentist or dental hygienist have the tools and skills to clean teeth in ways you just can’t at home. Fluoride is a mineral that is found in water (fresh & salt), soil, and certain foods. It helps strengthen teeth and make them more resistant to decay. It can even help reverse tooth decay that has already begun. Depending on the level of your children’s fluoride intake from water and food, their pediatric dentist may recommend fluoride toothpastes or rinses, or fluoride treatments during dental checkups. Dental Sealant is a thin plaster material that is painted on the chewing surfaces of teeth (most often the back teeth) to prevent tooth decay. It works by bonding to any grooves and depressions in the teeth, forming a protective seal. These grooves and depressions are often difficult to clean with just brushing and flossing, and so sealants provide extra protection. Brushing and flossing habits are best developed as early as possible. Even if you are doing the brushing and flossing for your children when they’re very young, it helps get them used to regular at-home oral care. Establishing these habits early, and teaching your kids how to brush and floss carefully and thoroughly, will help them to avoid tooth decay now, and as they grow up. Teeth that are misaligned in any way can cause a great deal of damage. They chip and break more easily, and they’re much harder to clean than straight teeth are. Most dentists recommend that you have your child evaluated by an orthodontist by no later than the age of 7, to find out whether he or she might need orthodontic intervention. But having your child evaluated when he or she is young, you can help lessen, or even completely avoid the need for more extensive orthodontic treatment when they’re older. This, in turn, will help keep your child’s teeth as free from decay as possible as he or she grow up.